Tricob - Tricob Releases "Lost Boss Level"
Tricob Releases "Lost Boss Level"
Here's a "lost boss level" by Tricob, re-created at the request of a fellow Wolfer. 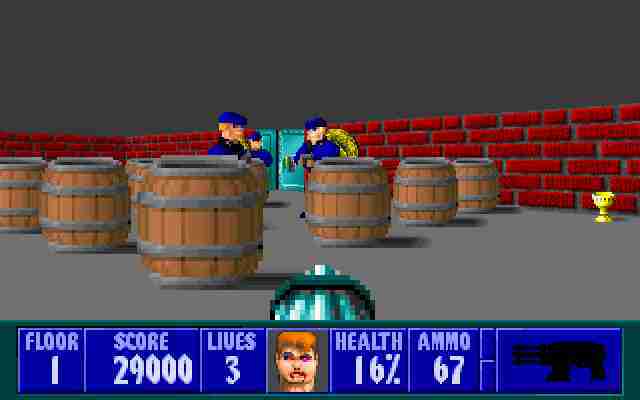 The files will run in both the Shareware and the commercial version of Wolf3D, but Tricob recommends you run it in WolfDX to fix a "locked door bug" in the boss area (Hans would open the locked door before you have the door's key). Texr file included. Available here. The WolfDX Demo v1.22 is available here.